‘A Pistol For Ringo’ introduces us to the titular Ringo in memorable style – playing hopscotch with some local children. This veil of fun and games is quickly snatched away though when Ringo, mid hop, quick draws his pistol and shoots four men dead, an action that is wholly badass but also wholly illegal so he winds up in the local jail. Not long after we watch our hero get locked up we discover that a local ranch has been taken over by bandits who are intent on using it as a place to lay low after robbing the local bank in an surprisingly well-orchestrated robbery. It’s also Christmas time, something stated very firmly in conversation multiple times by multiple characters but backed up with no visual evidence throughout most of the film, which I guess just makes the events sadder because….it’s, uh…Christmas? I don’t know. Ringo, captive witness to all of this thanks to his residency in the jail cell, is enlisted to infiltrate that gang of bandits and free the hostages they’ve taken, but as you can guess things aren’t nearly that simple once Ringo gets to the ranch. Many shootouts and standoffs, as one would expect from a spaghetti western, though none really match the fun of the bank robbery in the first third of the movie. “The Return of Ringo” is a much more serious affair, in comparison at least. More somber in tone, Return finds Ringo home from the Civil War (on the losing side no less) only to find his town has been taken over by bandits. Seems to be a pattern here right? Not one to sit back and play hopscotch when there are things to be done, Ringo does the most logical thing he can think of: uses chili as brown face to infiltrate the bandits. That’s right, the old Hormel hoodwink. Pretty sure this wouldn’t work (and lets not even talk about appropriate in 2018 or not because we all know the answer) but who am I to question it? Maybe this was some particularly stick to your ribs chili and those “stickin'” properties transfer to exterior application as well. Much like the previous movie, this plan isn’t as simple or as straightforward in action as it is on paper, and Ringo is quickly over his head. The plot cribs heavily from Homer’s Odyssey all of the way through, because if you’re going to steal plot points at least take from the classics so it’s easy to follow. 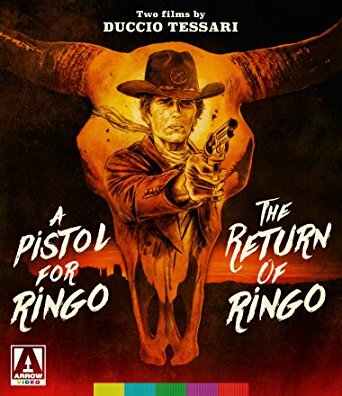 A Pistol for Ringo & The Return of Ringo are presented on bluray from Arrow Video in their new release, “A Pistol for Ringo & The Return of Ringo: Two Films by Duccio Tessari”. Featuring both an English dub and the original Italian, you have a couple options to choose from for language, depending on what kind of experience you want with the film (or if you just don’t want to read subs). This release also contains commentaries from noted Spaghetti Western experts (how do I get this title? please sign me up!) as well as a handful of featurette on both films. The restoration is fantastic looking, without much noticeable damage or colour issues rearing their head. 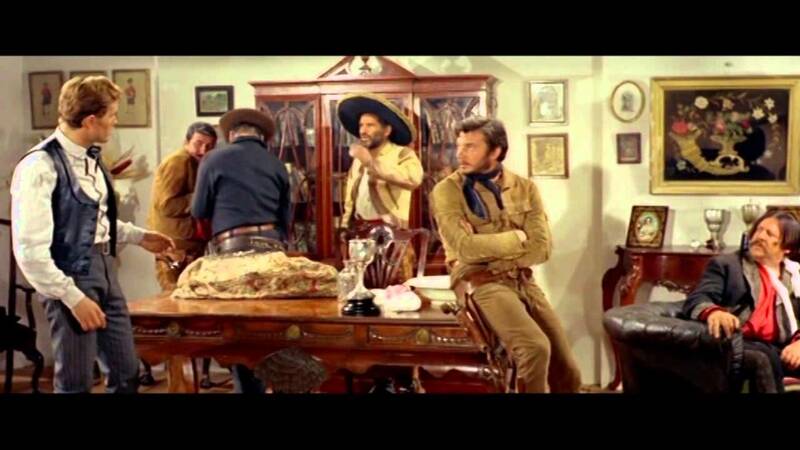 If you need more spaghetti in your western and are getting a bit tired of the always silent gruffness of Clint Eastwood types, check this set out.